I am so delighted that we at Beyond Norm have indeed lived up to our name and are here to do things which is beyond the norm. While some people may not agree with us, others have enjoyed what we have been doing. But it does not matter… The important part is that we like to think out of the box. We are introducing to you a new dish: Braised Pork Ribs with Ribena Blackcurrants (Concentrated). Using Ribena in your cooking? Yes!! Never heard of? Neither have I!! My son was very doubtful of this dish but was overwhelmed and surprise by how good this dish was. So don’t stop here, read on….. I was approached to “create” savoury dishes using this sweet concentrated juice and voilà! Here it is!! 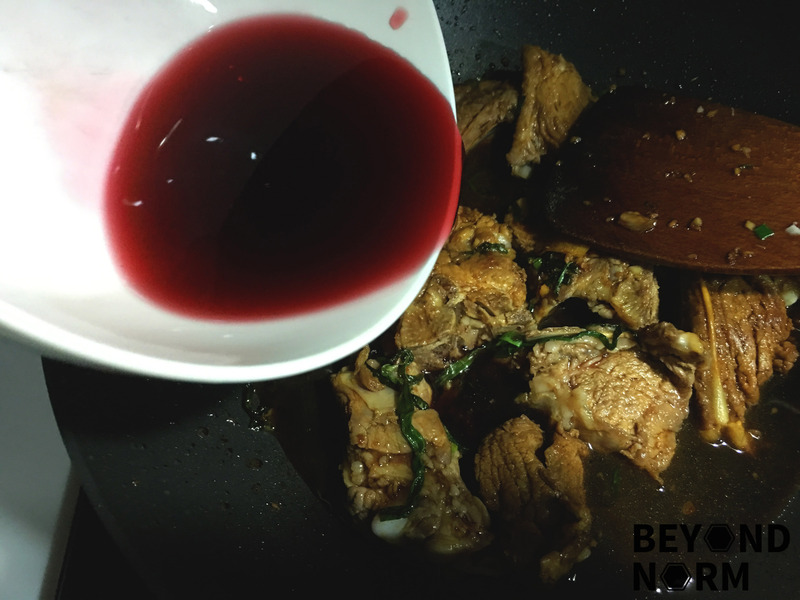 Extremely pleased with the outcome of this dish as the blackcurrant juice indeed made a big difference in the overall taste of the dish, so flavourful and a subtle fruitiness which complemented the pork. 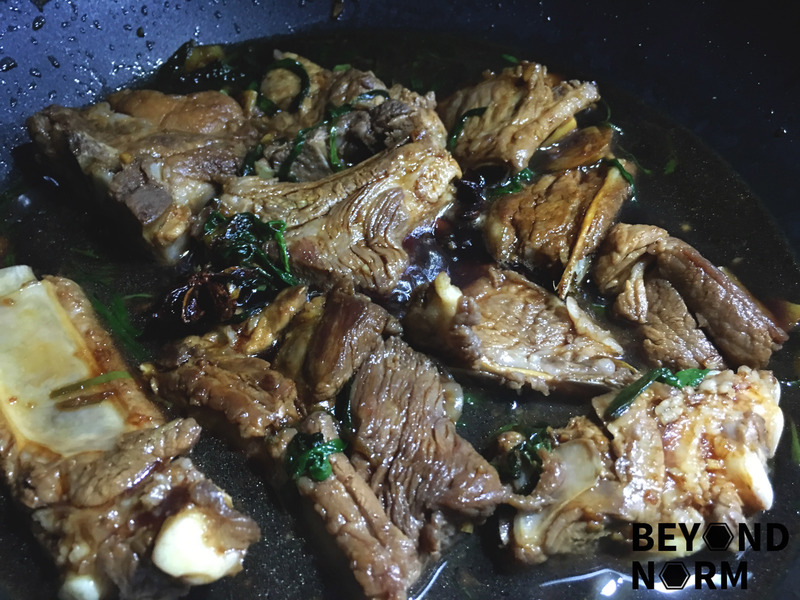 So if you want something different this Chinese New Year, this will be one of the dishes which will definitely whet the appetite of your family. 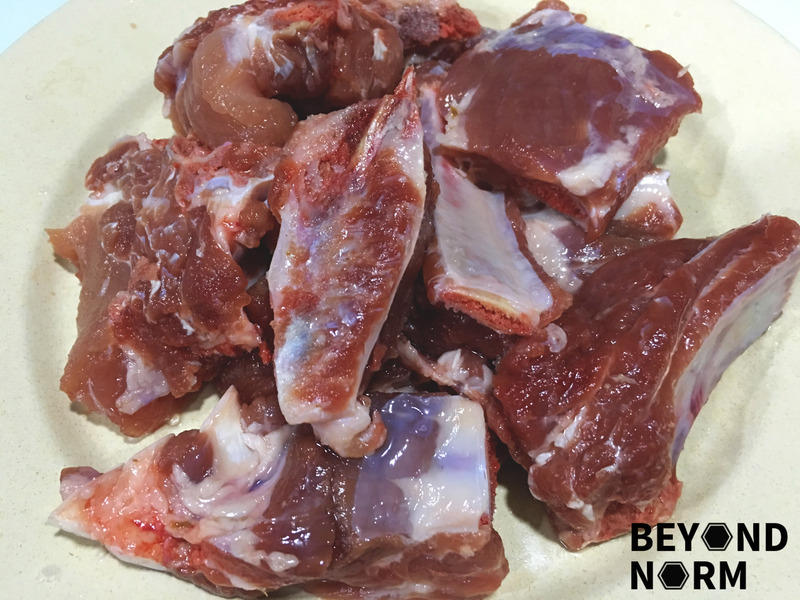 Rub a tablespoon of salt on the pork ribs and let it sit for 5 minutes. Rinse off the salt from the pork ribs. Add the pork ribs and about 2 cups of cold water into the pan. Bring it to a boil over medium-high heat for about 2 minutes until the pork has changed colour. 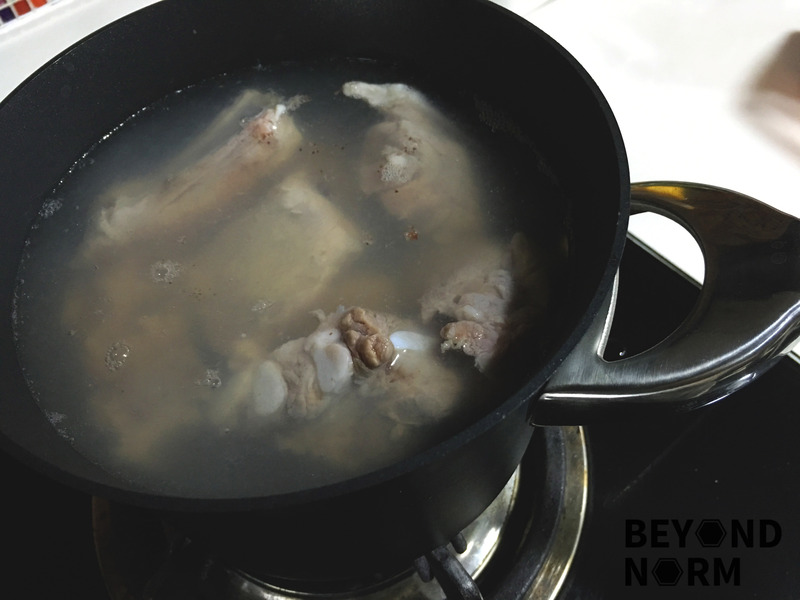 Discard the water in the pot and rinse the pork ribs under running cold water for about 30 seconds. Drain well and set aside. Whisk the soy sauce, dark soy sauce and 2 tablespoons cooking wine in a small bowl and set aside. Mix the Ribena and the hot water and set aside. Heat oil in the deep fry pan over medium heat. 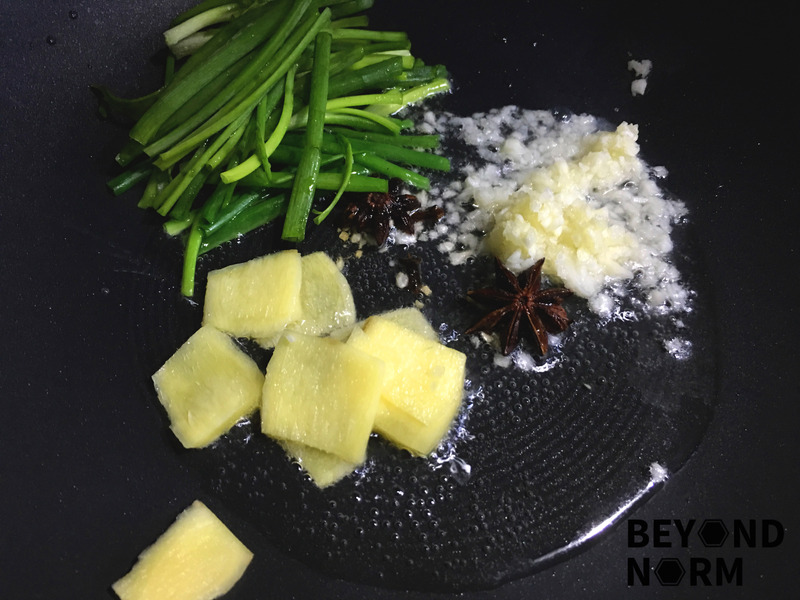 Add in the ginger, garlic, spring onion, cloves and star anises. Sauté for 1-2 minutes until fragrant. Add in the pork ribs and stir fry for about 5 minutes until browned on both sides. Add the sauce and ensure that the pork ribs are evenly coated. Pour in the Ribena mixture and bring it to boil. 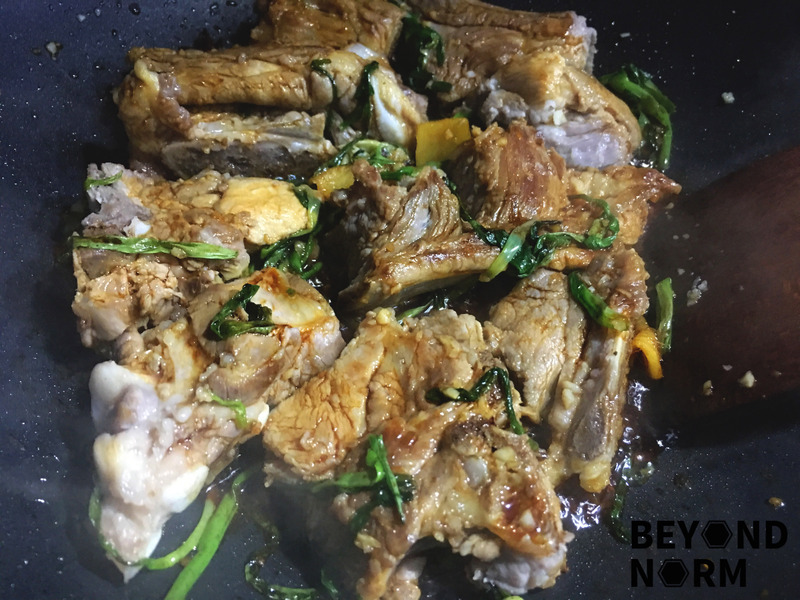 Reduce heat and simmer for about 10 to 15 minutes or until the pork is tender and there is only a ¼ of the sauce left in the pan. Turn off the heat. 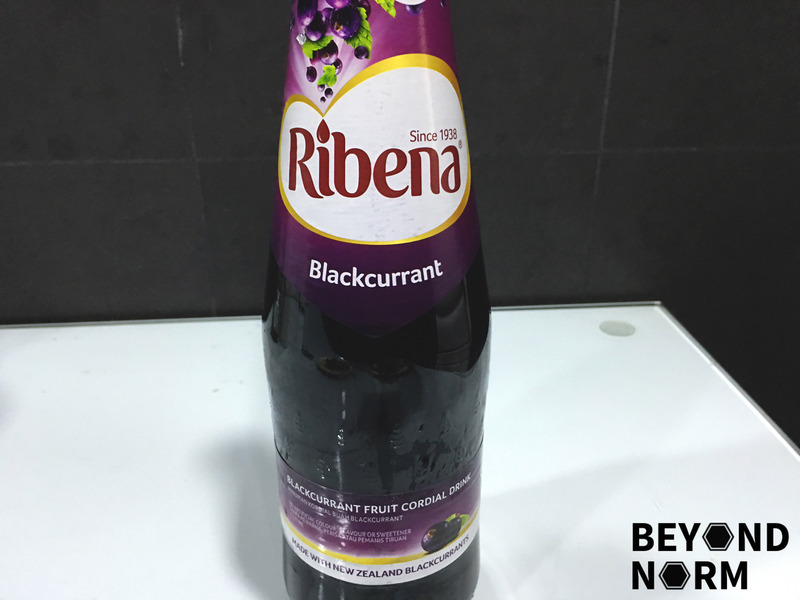 Pour 1 tablespoon of Chinese wine and 1 tablespoon of Ribena and give it a quick stir. 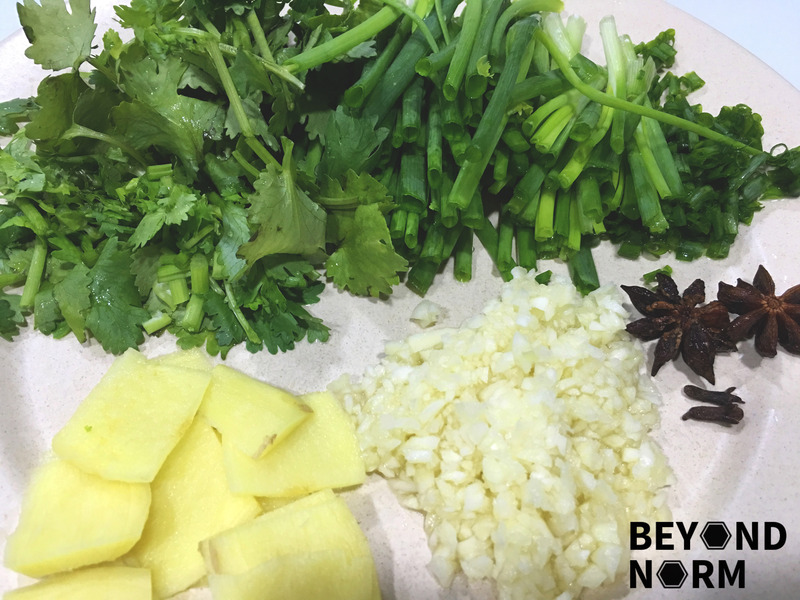 Garnish with chilli, spring onions and cilantro.